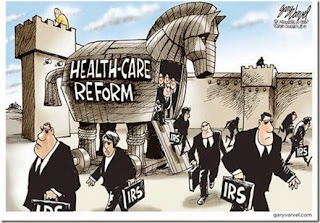 Thanks to our SC businessman for sending the above cartoon that clearly shows people are catching on to the upcoming draconian connection between ObamaCare & the IRS – the recent IRS headlines highlighted this to many people. 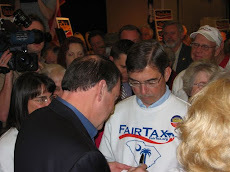 Some have even pieced together that ObamaCare was intentionally designed to fail thereby speeding up the real goal all along of single payer healthcare insurance administered by a government agency like the IRS – hence the hiring of 16,000 new IRS agents. 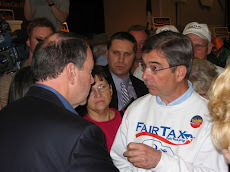 Although BO's approval rating remains around 50% the recent spate of scandals (IRS abuses of power, the Benghazi murders & cover up, the Justice Department's surveillance & seizure of AP reporters' telephone records, & the Justice Department investigating itself after AG Holder personally signed off on seizing phone & e-mail records & subsequently naming FNC reporter James Rosen, who claims he was exercising a reporter's basic First Amendment rights, as a criminal "co-conspirator" in a national security leak investigation involving a secret U.S. report on North Korea) @ least has grabbed some people's attention plus some in the media & even some Democrat politicians thereby giving us a chance to turn around (or slow down) the destruction that BO has been implementing ever since he took office in January 2009 to the American way of life & its inherent freedoms. Just look @ the onslaught of intentionally destructive government dependent plans, programs, & ideologies that BO has put in place. Rather than list them all I challenge any of the numerous BO followers of this blog to provide one example of any wealth producing feature of BO's term in office. Such a challenge will be hard to meet because BO has been the biggest basher & hater of business since FDR – both of whom longed to redistribute wealth & make America poorer by making everyone dependent on government. The recent scandals help highlight & give insight for what certainly is more to come. The above cartoon is worth a thousand words to even the least discerning of us. People who suffer are ones who pay taxes. People who do not suffer are ones who receive government benefits (free) and do not pay taxes.